I've probably done Folk Boat Friday to death, so this is may be the last of the series. 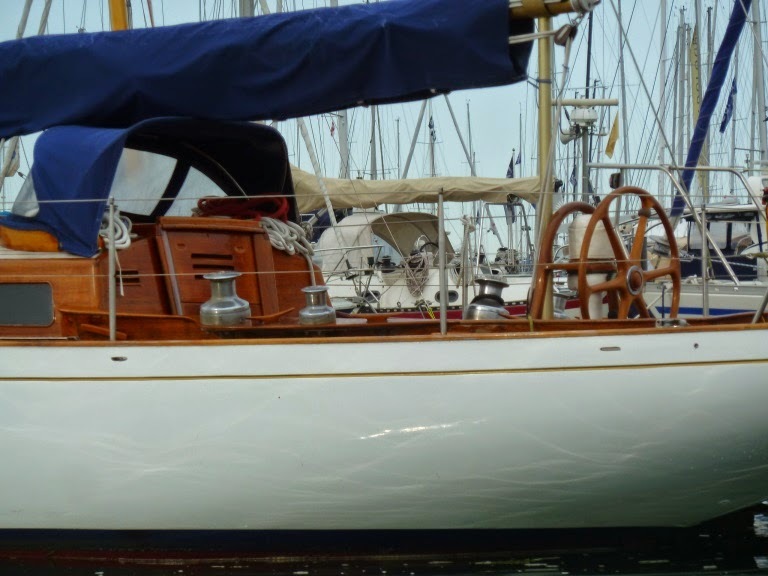 The folk boat is without doubt an enduring and elegant design, that they are still sailed in such numbers is equally testament to sea keeping and sailing qualities. 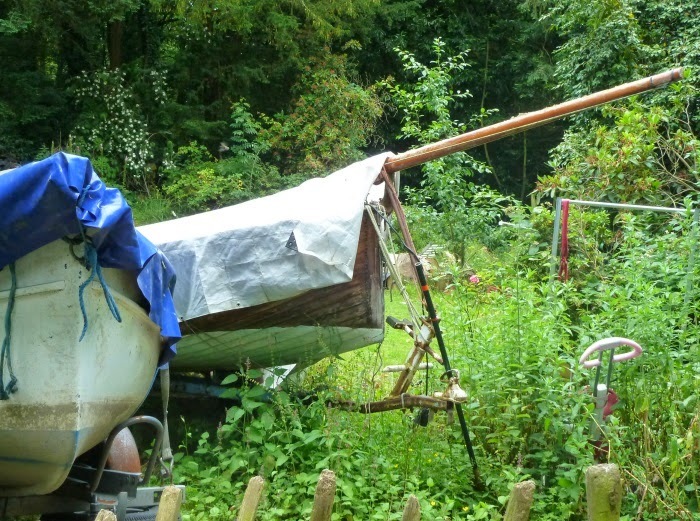 It's said that imitation is the sincerest form of flattery and the folk boat has it's share of derivatives. Above the Contessa 26 which getting on for 50 years old has crossed oceans and was still winning the Around the Island Race in recent years. 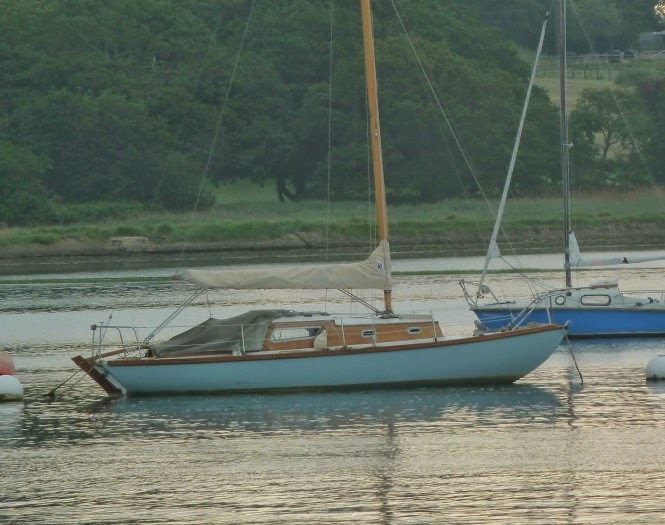 The Marieholm seems to be more prolific locally that any type, seen here alongside a Van de Stadt Invictor very similar to both Contessa and folk boat in many ways. 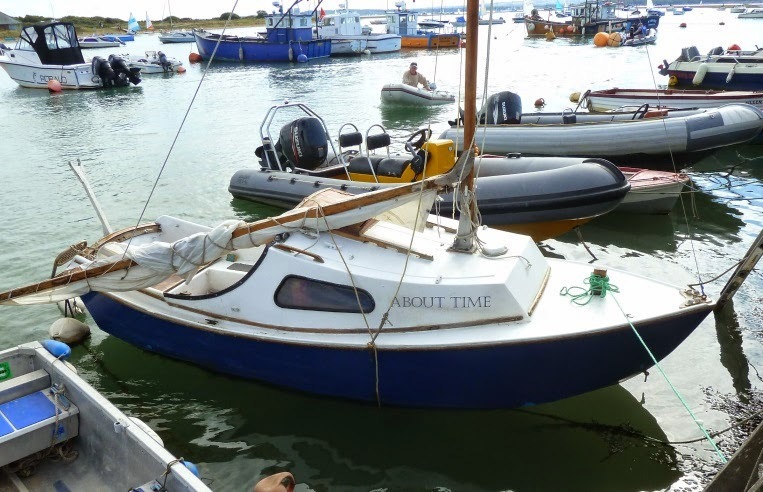 But for me the clinker built original or at least this late model in GRP is the defining folk boat, just look at that sweeping sheer and the fore deck uninterrupted by pulpit, lifelines or other encumbrances. We and 1000's of others entered the attempt at the world largest global sailing race in aid of Andrew Simpson Sailing Foundation. 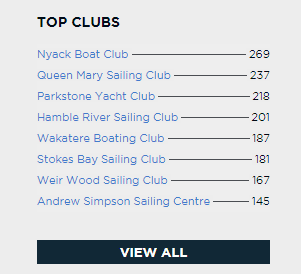 The idea is pretty simple get sailing clubs all over the world to organise a 1km sailing race and co ordinate the results via the global organisation. 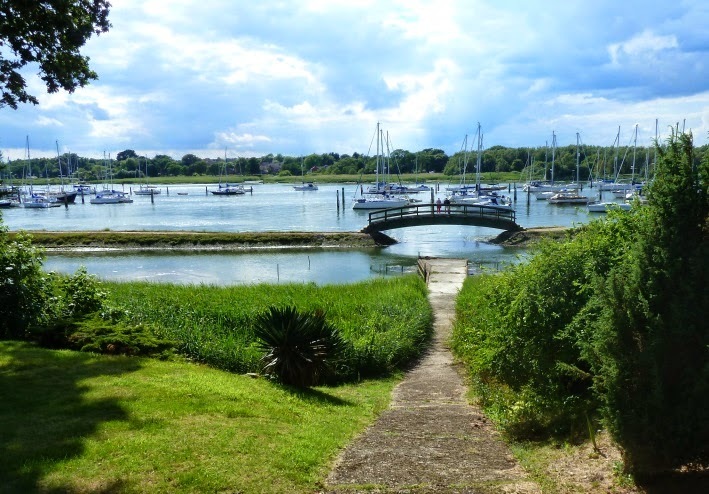 Hamble River Sailing Club really stepped up to the mark with over 200 registered entries making us the 4th largest club entry. It was a windy morning and with the restrictions of the river there were three starts 5 minutes apart. 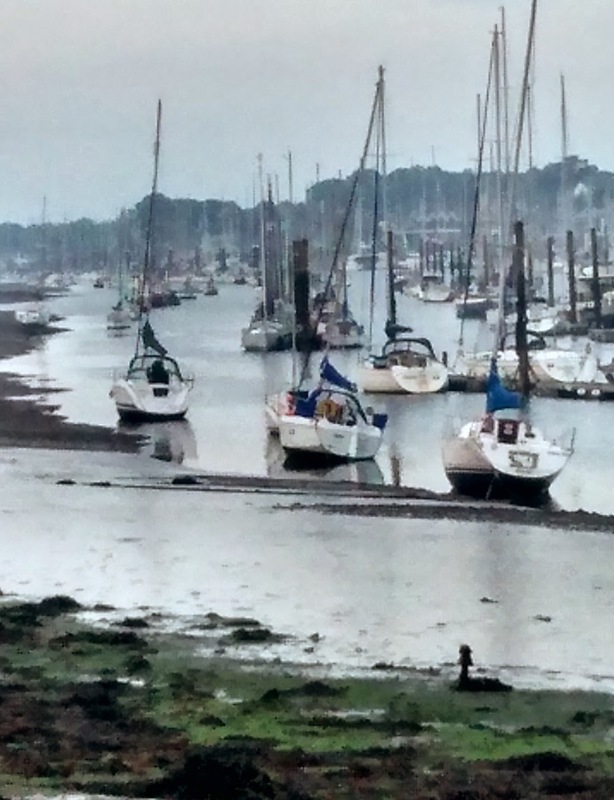 We entered what was probably the slowest boat in the race, Tosh our Cornish Cormorant. 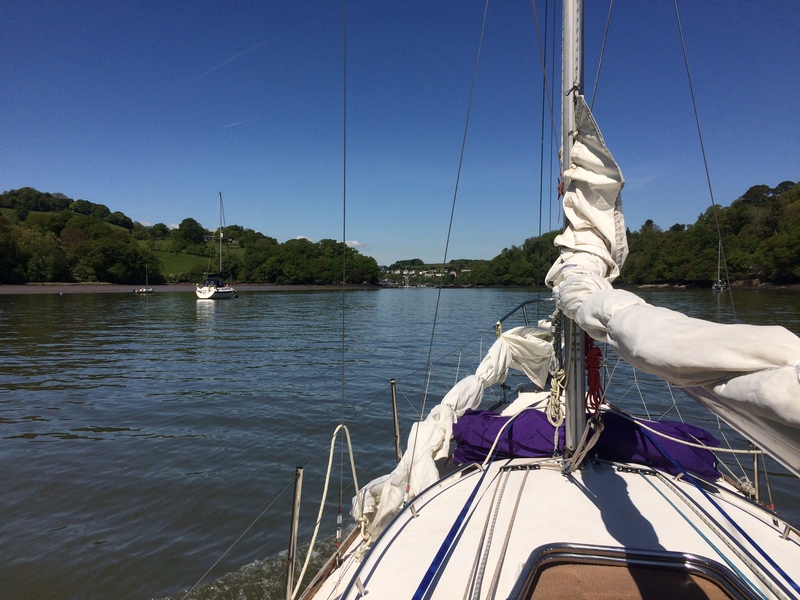 The race committee are probably still trying to figure out our handicap, but in the strong, gusty winds we had a great time and gave more than a few of the Mirror fleet a run for their money. 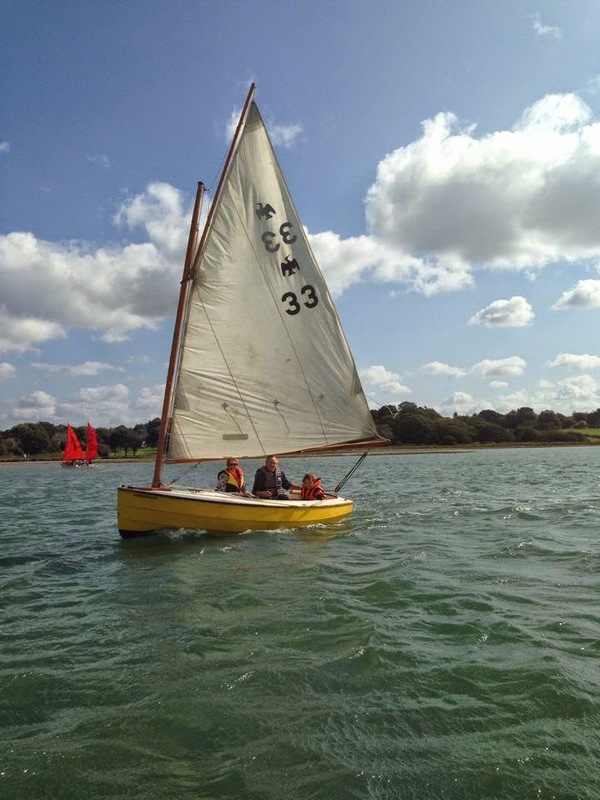 It was Joseph's first experience of dinghy racing and he loved it, even rail down and water almost coming over the coaming. What a great idea and thanks to all the organisers and entrants everywhere, lets hope we made the Guinness Book of records. Instead of taking the river path we decided to see where the footpath goes as it leaves the river and heads through the woods above Bunny Meadows and up through Holly Hill Park. 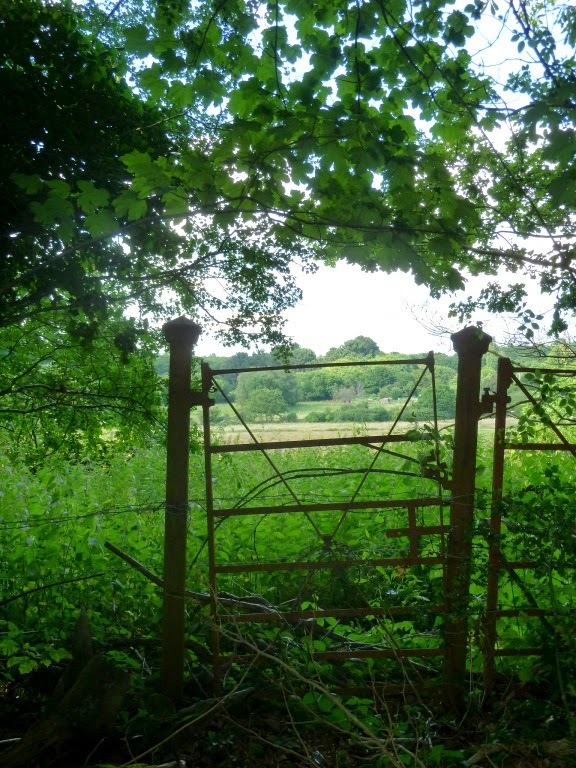 The path emerges from the woods at the end of a private path and jetty with a wonderful elevated view of the river.Formerly the grounds of Holly Hill Mansion much of th woodland is now managed by the council as a woodland park, however there are still plenty of signs of the old Victorian estate like this wrought iron gate. Interesting to see what's hidden away in the trees just a few yards from the water. 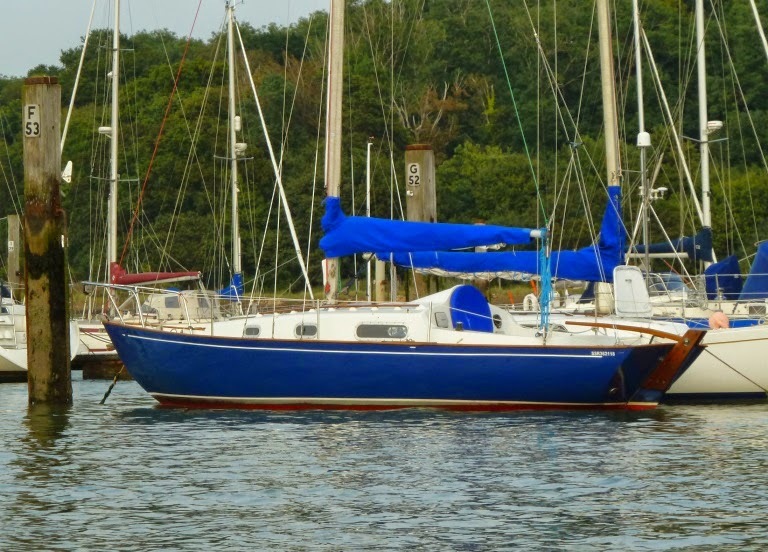 One of the downsides of the folk boat is interior space, compared to modern cruisers with separate heads, showers, owners suites the folk boat is well, frankly tiny. Over the years there have been variations with modified coach roofs to increase head room. 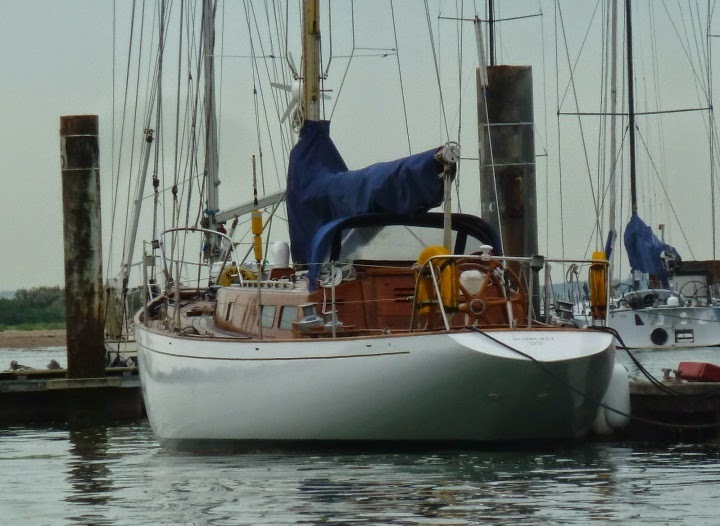 I guess it's easy to understand the quest for more accommodation, but it;s really difficult adding volume to such an elegant and fine hull. Lying just off the Christchurch Sailing Club club house we spotted this dinghy which I think is a National 18 although I could well be wrong. 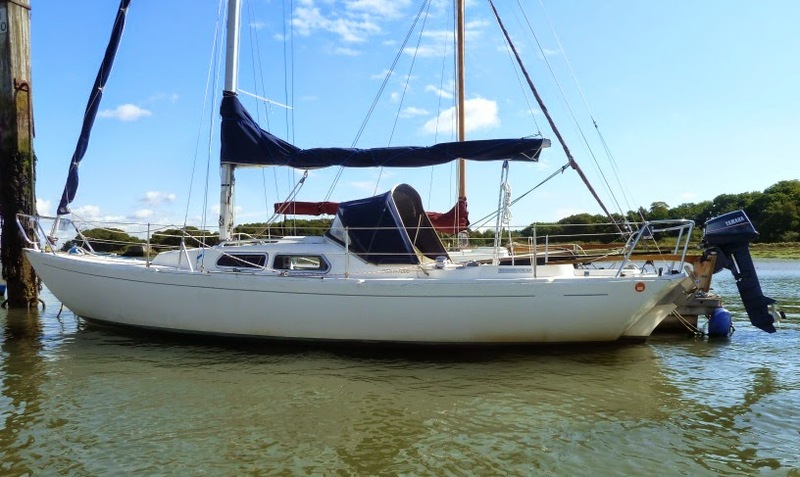 She's kept up in fantastic condition and racing aside would make a great and fast day sailor for the protected waters on Christchurch harbour. 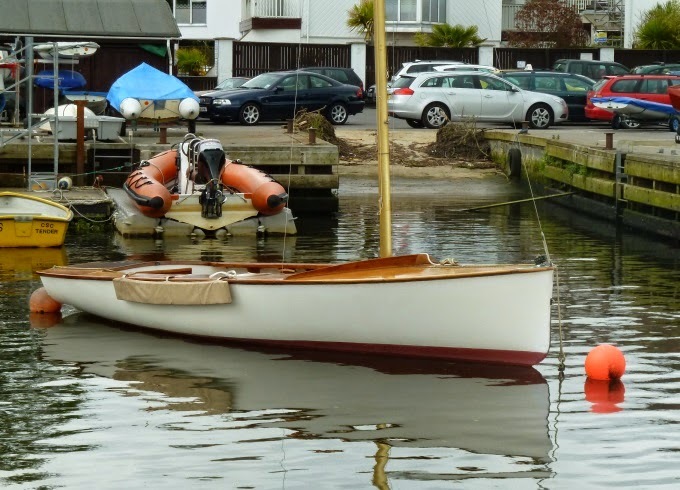 There's been a lot written about schooners recently or at least about one in particular the schooner Everhopeful caught my eye down at Dell Quay unaware that Chris Partridge was at the helm, followed closely by Graham aboard his immaculate Coot dinghy. Now beautiful as they are, schooners don't have the best reputation for speed as Chris relates in his sailing experience "great off the wind.." No real surprises there with those two lovely gaff sails pulling hard, but upwind is a different matter. 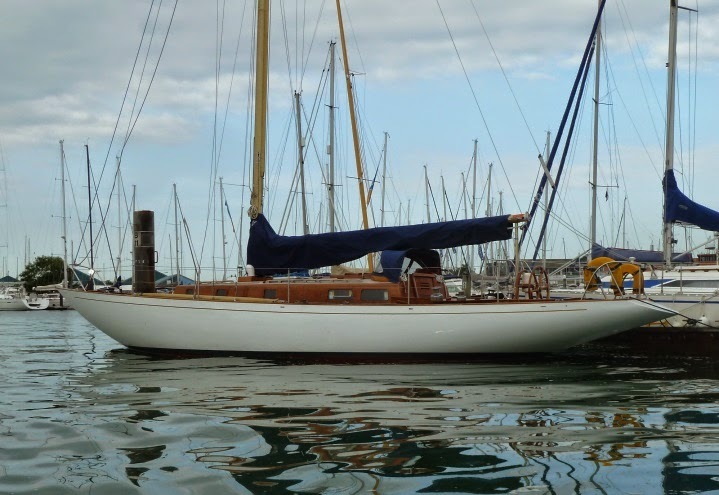 For those who love schooners and speed check out Goelette Mercator a French designed and built high speed schooner. 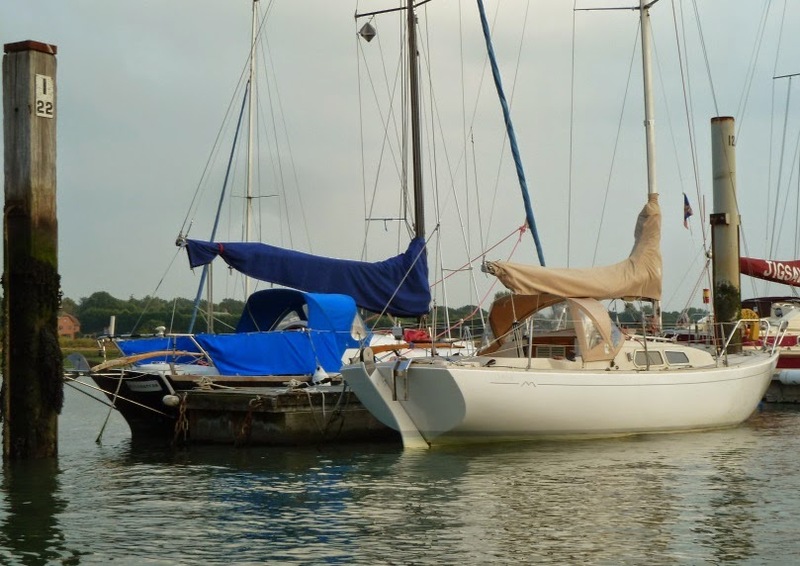 From the limited information available mostly in French, she is intended as a sail trainer and while obviously suited to epoxy ply construction it seems that a production version is available using the delightfully named sandwich polyester. 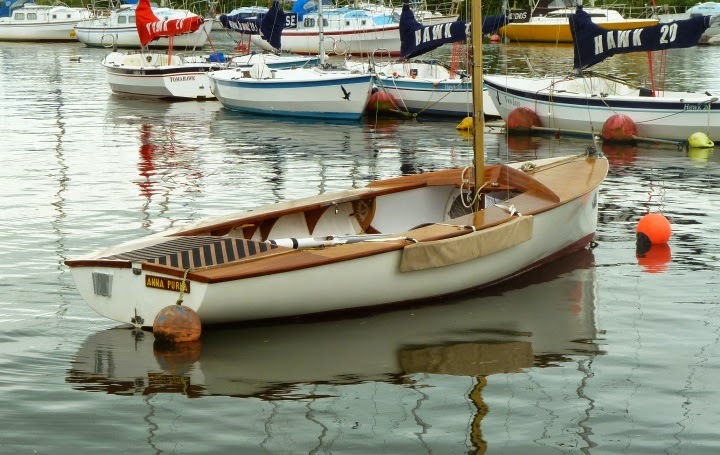 Another beautiful Folk Boat from the Pacific north west courtesy of Dory Man. 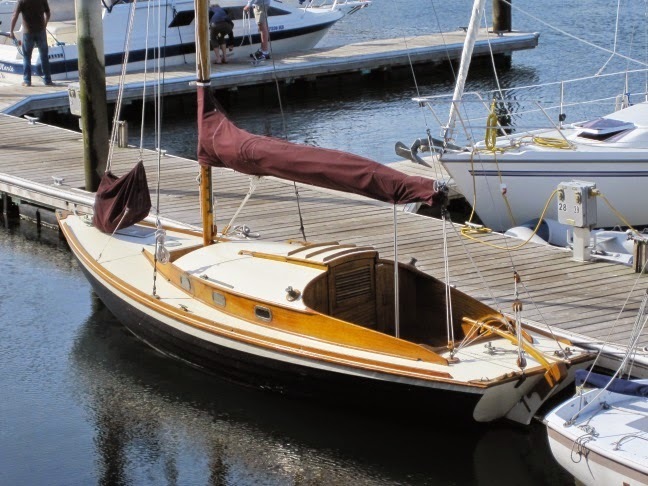 Apparently she was built in Denmark and recently restored in Port Townsend, how she arrived there is unknown. 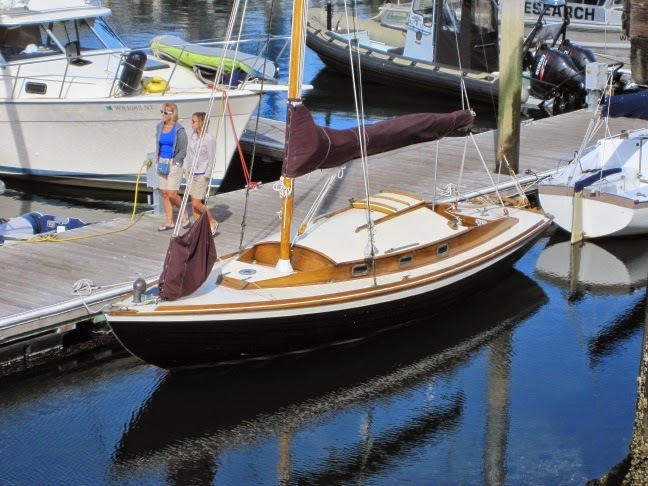 I wonder what's taking their attention, maybe they're just not fans of wooden boats? 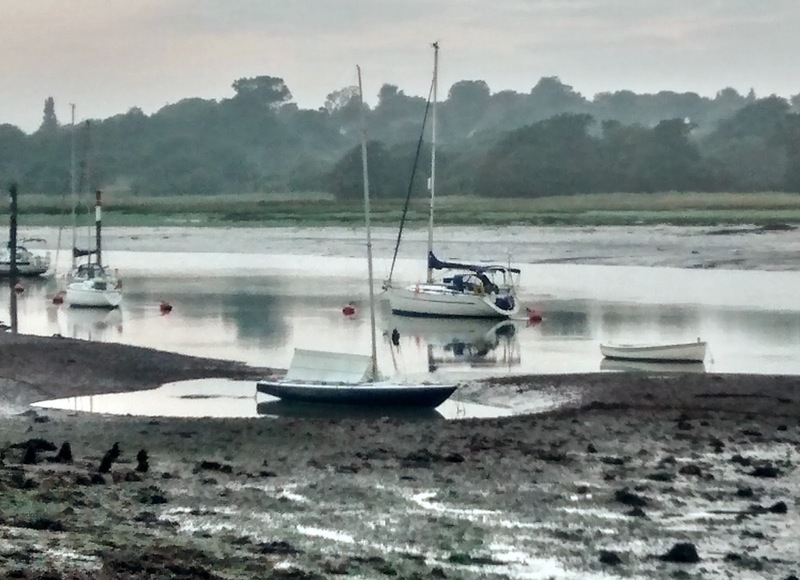 The big harvest moon on Tuesday night signalled some big tides and sure enough, running down the river at 6.00 AM this morning the river was at the lowest level I've seen all year. By lunch time I'm sure the pathway will be flooded and impassable. Out in the Solent the extreme low water will expose the Bramble Bank, a normally submerged sand bank between Cowes on the Isle of Wight and the mainland (or north island as the folks down there like to call it). 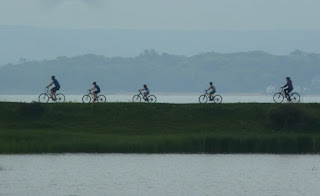 A friend of mine has gone out for the annual game of cricket on the Bramble Bank this morning, start time was around 6. AM so it's likely to be a short match between daylight and the tide coming back. 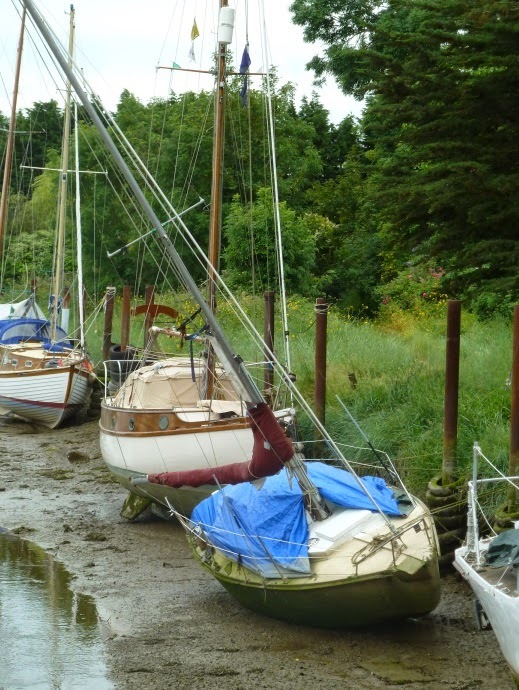 Above that's what your average mud mooring looks like, and below it's not often that Hamble based boats take the ground. It will all be back to normal by the time I'm write this. Apologies for the poor photo quality they were taken with my Motorola Moto G but it could of course just me user error and I have it on the wrong settings. It's not often you see a schooner in UK waters and even more rare to see an open boat of this size with the famous 2 masted rig. 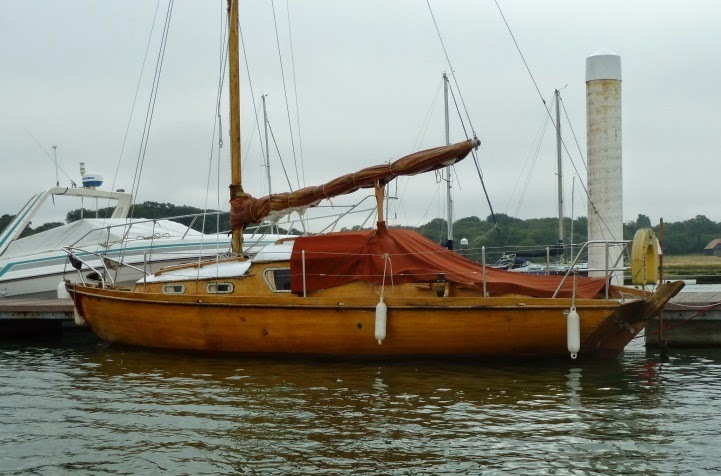 At first sight from a distance I thought perhaps it was a Phil Bolger designed light schooner, but as it came into closer view the curve to the sheer and tucked up stern suggested that it's something different. 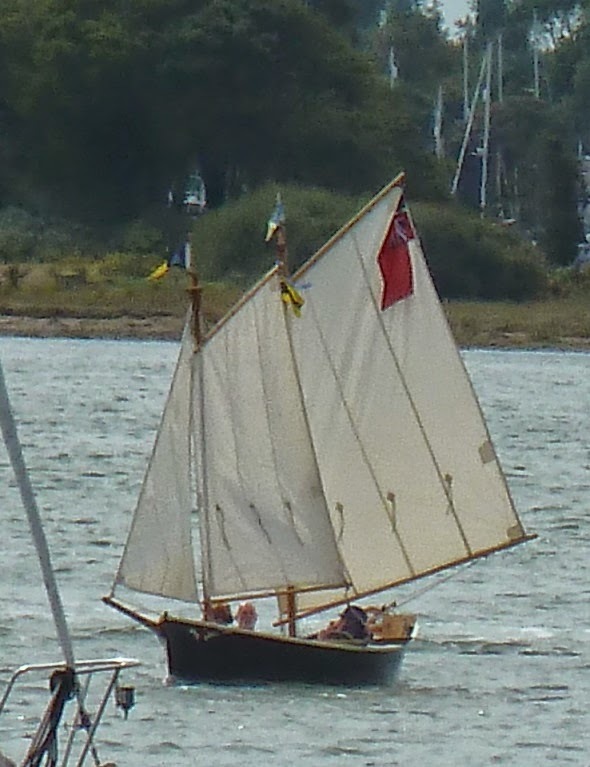 Great to see a schooner out on the water. 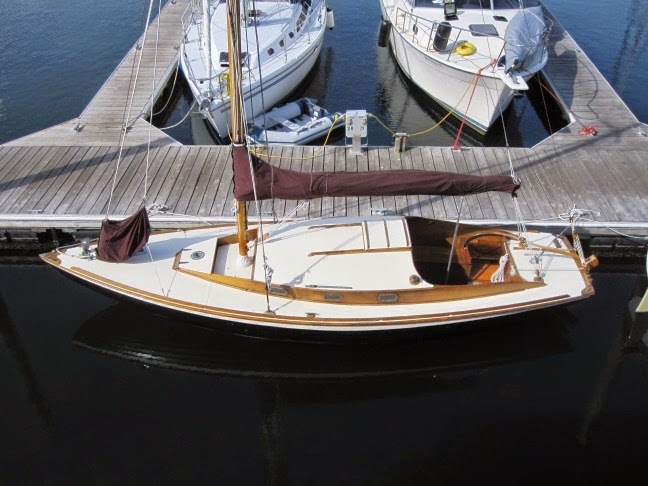 Anyone who is interested in the wooden boat building revival will be aware of Scamp the John Welsford designed 12 foot micro cruiser. SCAMP stands for Small Craft Advisor Magazine Project after the publication which sponsored the design and has been instrumental in it's success. Although John's design is both highly competent and original the idea of a diminutive cruiser has been around for many years. 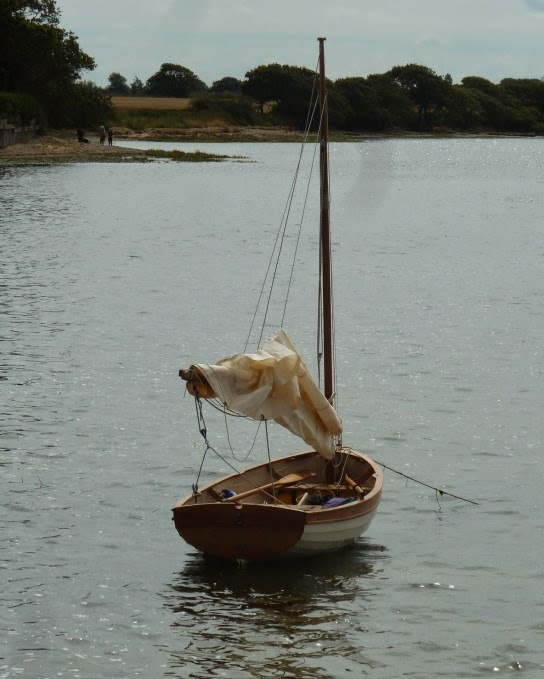 Walking through Keyhaven the other day we spotted this example of a tiny cabin sailing boat. 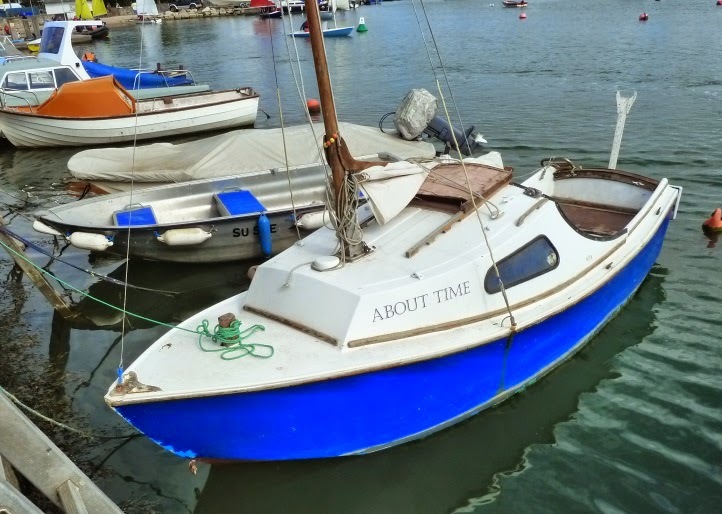 I'm pretty sure it's a West Wight Potter and given her location (in the western Solent opposite the Isle of Wight) seems entirely appropriate. 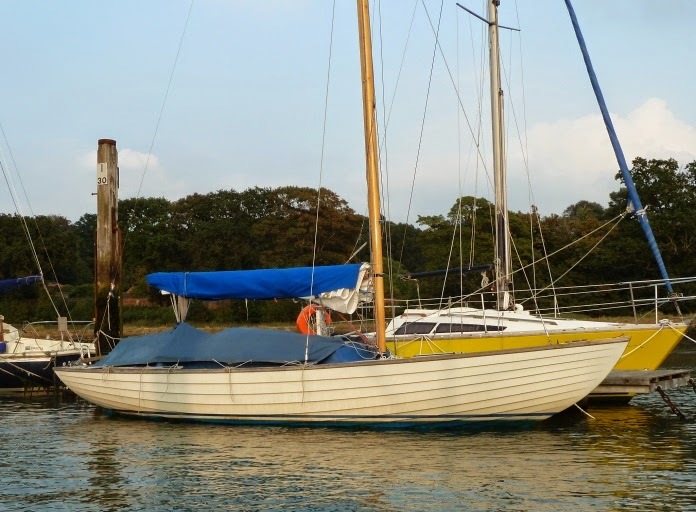 Slightly larger than the Scamp at 15 feet (although you could probably loose a foot with a pram bow like Scamp). 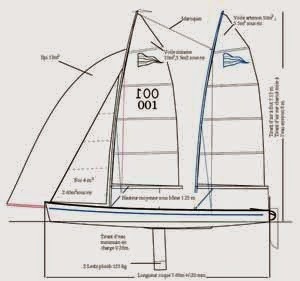 There's a thread running on the woodenboat forum asking John to design a 15 foot version on the SCAMP which was started by Keep Turning Left impresario Dylan Winter, who points out that many of us middle aged sailors are becoming a little broad in the beam and have too much stuff for the 12 foot version. 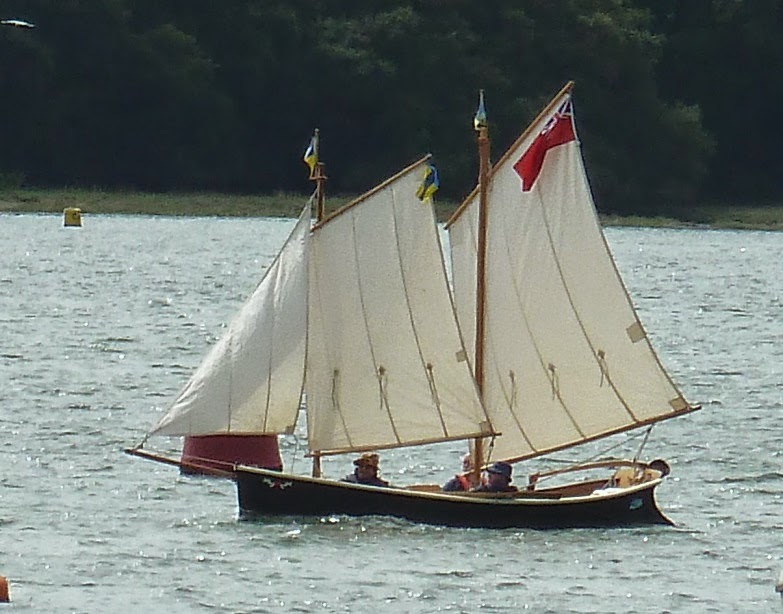 It's not until you start looking that you realise there are so many Marieholn Folk Boats around. I can't help thinking that outboard doesn't do much for the looks department and seems very exposed hung right out there. 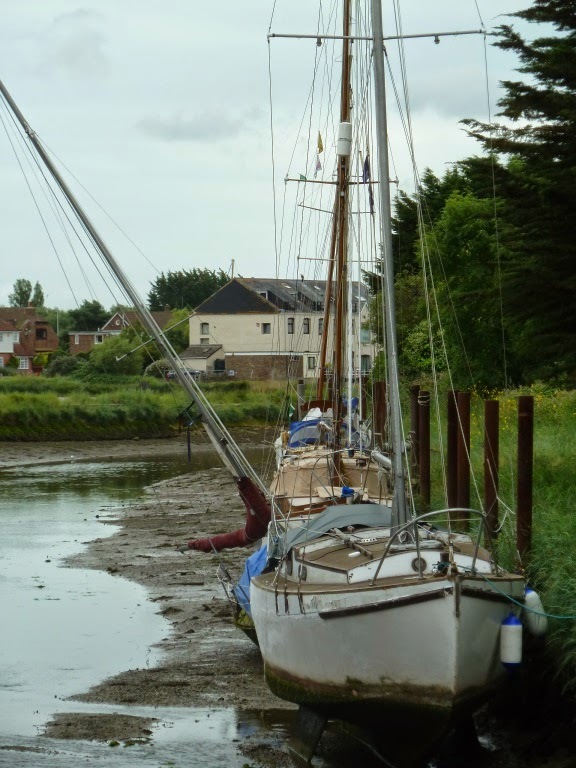 The moorings opposite Dolphin Quay at Emsworth, probably been settling nicely in the mud for years, leaning slightly to the shore waiting peacefully to float for a couple of hours a day, and then the mud mysteriously moves, the wind blows or weight shifts.